Jared James graduated from Victoria University in 2014 and decided to take a career in Japan to teach English with the JET Program later that year. Having appointed as the Assistant Language Teacher in Shizuoka City, he had to deal with the barrier in language and found himself isolated before he used rugby as a platform to get things on track. 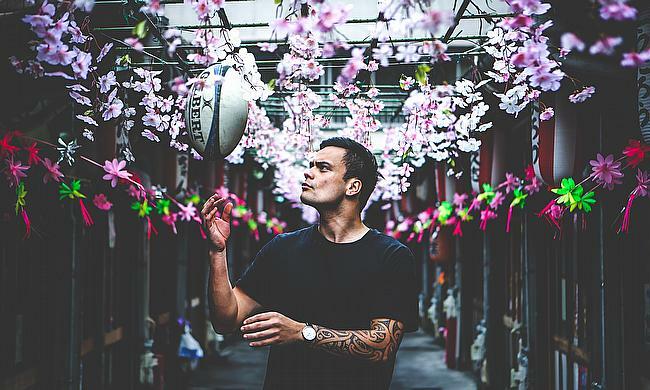 James, who played rugby in his school sports made attempts to join the Shizuoka RFC which consists of players from other professions ranging from teachers to construction workers to mingle with the local people and learn their tradition and success with the team helped him gel with the culture even more. The team went on to clinch the Prefectural Cup and are also aiming to win the Western Japan tournament in Osaka. "There is a real feeling of community within the team," said James. "Most of the Japanese I know I’ve picked up by communicating with them during practice and at social events afterwards." During a series of workshops to prepare for teaching English in Japan, James met Jericho Rock-Archer, who helped him to Joshua Rollo, the film-maker behind the documentary Union that deals with the subject of cultural isolation and diversity. A three-minute documentary, Union, was released in August that examined the challenges faced by James before overcoming the cultural difference using the game as a medium. "We want to share the ways it builds communities while at the same time tearing down barriers of culture and race,” Rock-Archer said. "We want to show that rugby is a universal language, a sport which, at its heart, draws people together and encourages self-improvement."